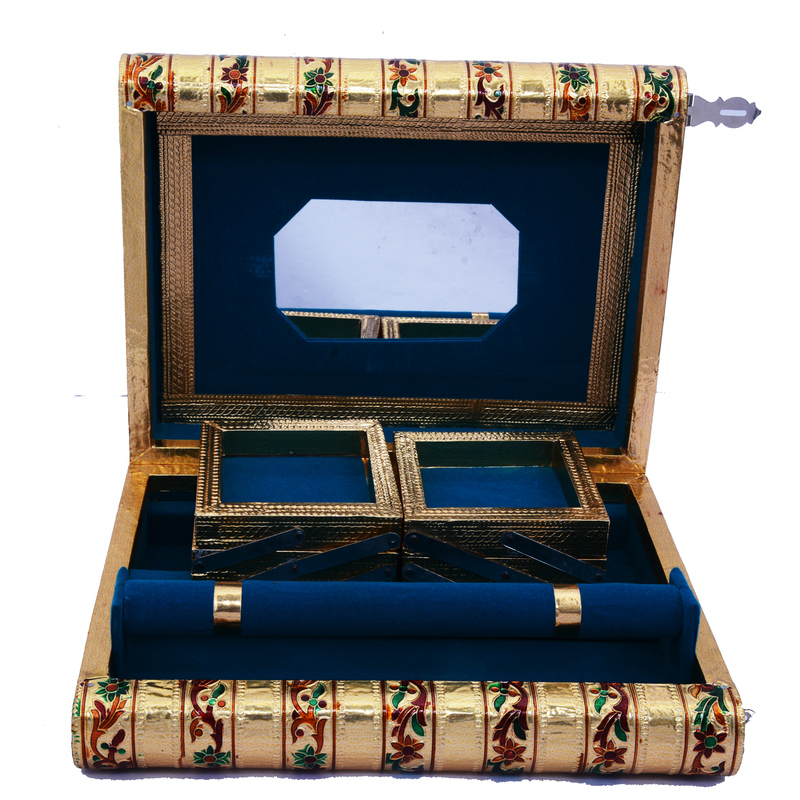 The mesmerizing charm and elegance on display on this Traditional Meenakari Jewelry Box is enough to make it your worthy choice for storing your precious Read More..and beautiful jewelry. The finery that is on display through the intricate Meenakari work on the body of this jewelry box makes it as much of a visual delight as the items that are intended to store. Finally, the sturdy design of this finely carved wooden box ads substance to the subtlety, and this makes it the perfect combination of beauty and brawn to render it the ideal choice for storing something as precious as the jewelries. Show Less..